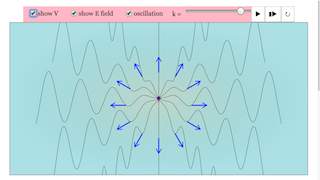 while the oscillation check box toggles if the particle oscillates or not. The k slider determines the amplitude of the force of the particle moving. Plays/Pauses, steps and resets the buttons respectively.